by David Boyajian — human rights activist, Massachusetts USA. January 09, 2017. Before leaving office, President Obama apparently couldn’t resist one more terrible appointment. He just tapped career diplomat Richard E. Hoagland to be the interim American representative to the Karabagh (Artsakh) talks conducted by the OCSE’s Minsk Group (co-chairs: US/Russia/France). Hoagland, who would replace the retiring, pro-Azeri James Warlick, is a notorious Armenian genocide denier. Recall that in 2006-7 Pres. George W. Bush nominated Hoagland to be the ambassador to Armenia. As expected, Hoagland declined to label as genocide Turkey’s murder of 1.5 million Christian Armenians from 1915-23. But he went much further. Hoagland cast doubt on the factuality of the Armenian genocide and tried to damage Armenian legal rights. Among the genocide-denying parasites that inhabit the bowels of the US State Department, Hoagland is one of the more repulsive. Turkey, said Hoagland, lacked the “specific intent” — required by the UN Genocide Convention of 1948 — to destroy Armenians. In 2006, Pres. Bush had just kowtowed to Turkey by yanking Amb. John Evans from the embassy in Yerevan because he’d publicly acknowledged the Armenian genocide. The White House also pressured the American Foreign Service Association (AFSA) to withdraw the “Constructive Dissent” award it was to give Evans for his genocide acknowledgement. Evans was forced to resign from the State Department in September of 2006. The above factors led Senators Allen (R-VA), Biden (D-DE) [now VP], Boxer (D-CA), Coleman (R-MN), Feingold (D-WI), Kerry (D-MA) [now Sec. of State], Menendez (D-NJ), Reid (D-NV), Sarbanes (D-MD) and several House members to express deep skepticism about Hoagland. Then-Senator Obama (D-IL), not surprisingly, favored Hoagland. In any case, the Senate refused to confirm Hoagland in 2006-7. As Deputy Ambassador to Pakistan, Hoagland held an event that opens a window into hypocritical aspects of his character and US policy. In 2011, he hosted an “LGBT pride celebration” at the American Embassy in Islamabad. 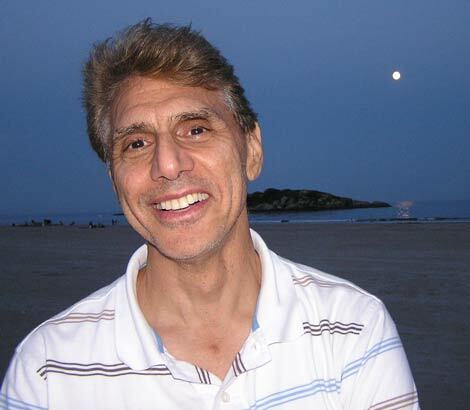 Hoagland, whose sexual orientation is no secret, is a founder of the Gays and Lesbians in Foreign Affairs Agencies. Naturally, the event greatly offended traditionalist Pakistani religious and political groups. Richard E. Hoagland (center) at the 2016 Turkic American Convention. One wonders, does Hoagland disrespect Turks as he does Armenians and Pakistanis? We know this: Hoagland heaped only praise on Turks when he spoke at the annual Turkic American Convention last year. While laboring on behalf of those whom, like himself, he believes are treated unfairly, Hoagland tries to undermine Armenian legal rights. Thus, he and the US hypocritically cherry-pick the human rights issues they wish to advance. As far as we know, Armenia lodged no protest against Hoagland in 2006-7. Nor have Armenia/Artsakh done so now. Such passivity is a mistake. 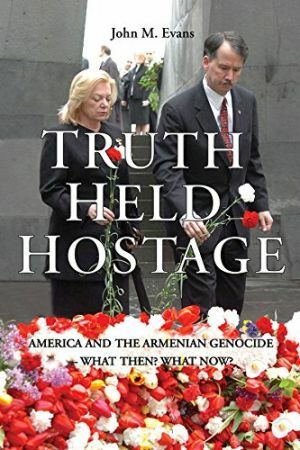 The Armenian Assembly of America (AAA) questioned Hoagland’s nomination in 2006-7, but the Armenian National Committee of America (ANCA) vehemently opposed it. AAA has yet to take a position on Hoagland’s Minsk Group appointment. Silence, in this case, is definitely not golden. As an American, I can’t tell Armenia/Artsakh what do to. No nation, however, should be forced to deal with a diplomat who aggressively denies its genocide. Indeed, countries often reject diplomats who are insulting or abusive. Armenia/Artsakh could continue to confer with the Minsk Group’s Russian and French representatives but not Hoagland. The United States and OSCE would understand and — even if they say otherwise — agree that Hoagland’s appointment was an insult and blunder. Armenia/Artsakh would gain a new respect. The people of Armenia/Artsakh have responded strongly to Azeri military provocations. But their governments are too often diplomatically passive. For instance, when Azerbaijan flagrantly violates the ceasefire, the OSCE habitually fails to blame the obvious aggressor: Azerbaijan. Armenia/Artsakh protest, but tepidly. And they continue to meet with Minsk Group and Azeri representatives as if nothing had happened. This demoralizes the Armenian people and encourages Azerbaijani aggression and disrespect by the Minsk Group. But is it relevant which diplomats the US appoints? Don’t they all have to follow US policy anyway? Actually, no. Diplomats can diverge from US policy in positive and negative ways both in and out of office. America and the Armenian Genocide. John Evans, the US Ambassador to Armenia (2004-6), made a difference with his open acknowledgment of the Armenian Genocide. He exposed the US State Department’s hypocrisy and its extortion of the AFSA. Ever since, Evans has repeatedly spoken out and written about the Armenian genocide. He’s an advisor to the board of the US-based Children of Armenian Fund (COAF). He sailed across the Atlantic with three crewmates to raise funds for Armenia’s children. His wife Donna sits on COAF’s board. Contrast the principled John Evans with the pro-Turkish, pro-Azeri Matthew Bryza. Bryza was Washington’s representative to the Mink Group (2006-9) and served as American ambassador to Azerbaijan (2010-11). He now sits on the board of Turcas Petrol, an affiliate of SOCAR (State Oil Company of the Azerbaijan Republic). Bryza lives in Istanbul with his Turkish-born wife Zeyno Baran. She has worked for “Azerbaijan Focus: Journal of International Affairs,” a quasi-government publication, while Bryza’s writings continue to reflect his pro-Azeri sentiments. Hoagland himself, being pro-Turkic and a Minsk Group mediator, is in a position to draft some very dangerous “peace” proposals for Armenia/Artsakh. Even as an ambassador to Armenia, he would not have had such power. Richard Hoagland is the wrong man for America. His appointment should be withdrawn now. Otherwise, Armenia, Artsakh, and the Diaspora should rightly declare him persona non grata.